SATO CL424NX UHF RFID - CL4NX RFID Printer, UHF, Industrial, Thermal transfer, 609 dpi, Parallel/Serial/USB/Bluetooth/Ethernet Interfaces, 4" Max Print width. Includes Dispenser. 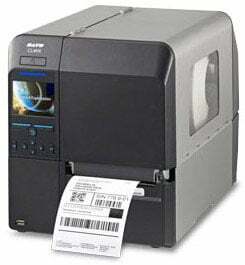 SATO's CL4NX RFID Printer offers a vast array of standard features that are unparalleled by its competitors. Operation, Printer setups, and maintenance are easy and intuitive. This is Sato's first truly universal Industrial Label Printer engineered for the most demanding printing applications. The SATO WWCL30261R is also known as SAT-WWCL30261R	.